The care that Kandace and her staff provide is superb. I always feel so taken care of at Well Woman Acupuncture. I have young children and have been battling with adrenal fatigue and other hormone imbalances. She helped jump start my path to healing with just a couple of sessions and the custom herb blend combined with her expert care. I am now sleeping through the night with no herbs, sleeping pills, etc. All of the other imbalance symptoms have dissipated as well. Amazing. Also, at one of my recent visits I felt like I was getting sick (a cold/flu). She altered the acupuncture on the spot and I stayed healthy even though my entire family was sick! I am so grateful and recommend her to anyone I know suffering from hormone imbalance, insomnia or low immunity. I was at the end of my rope. I was a 47-year-old woman with such heavy periods so bad that it robbed me of a normal life. Every month I was down in bed for 3-4 days with extreme pain, extremely heavy flow, and extreme fatigue. I’m allergic to all NSAIDs and acetaminophen didn’t come close to giving me pain relief. And I couldn’t make any plans during my menses because the heavy flow kept me confined to the bathroom. Unwilling to use an IUD or have surgery, I decided to give acupuncture a try. From my very first appointment I knew things were going to be different. Kandace wanted to hear about me as a whole person, not just the symptoms I was having. I felt more heard and understood in that one appointment than I had through all the years of seeing western medicine professionals. I cried happy hopeful tears the whole way home that day. In three short months Kandace and her healing treatments took me from 4 days in a horizontal position and vomiting from pain to site seeing in Santa Fe and hiking various trails…. All while having my period. Now I don’t have to look at the calendar to make sure I don’t have my period before I schedule activities and trips. My life was forever changed! Almost immediately after beginning my fertility journey, I discovered that I had secondary amenorrhea caused by PCOS. The only way ovulation was achieved for me was with injectable medications, as I also found out that I am resistant to Clomid. Multiple rounds of injectables and two rounds of IUI later, my husband and I moved back to Colorado, feeling that IVF was our inevitable next step. During this time, I had learned as much as I could about PCOS-related infertility, and acupuncture was consistently mentioned along with positive results. Exhausted from countless doctor appointments and medications with no luck, I decided to first give acupuncture a try before going the IVF route. I searched only for acupuncturists who specifically had knowledge related to PCOS treatment, and Kandace at Well Woman Acupuncture stood out right away. Going to see her was the Best. Decision. Ever. Kandace took the time to listen to my story and answered every question that I had. I never felt rushed and was more comfortable with her than with any of the western medicine doctors I had been to. I started seeing her once a week, and almost immediately my menstrual cycle returned. After two cycles, and almost two years from our first attempt, my husband and I started our TTC journey once again, and I conceived right away! A natural pregnancy was something I came to believe as only a dream for me, but Kandace made it a reality. I have continued my treatments at Well Women Acupuncture regularly throughout my pregnancy, and the entire process has been amazing. I can’t wait to meet my little girl in just a few short months, and I honestly have Kandace to thank for that! (I) started seeing Kandace for some help with fertility. She has been amazing--not only have her own personal experiences helped put me at ease but her treatments are amazing! I had never had acupuncture before and am now a very firm believer of what it can do for you! It has been a long process for me and Kandace has now become what I would consider family. I would highly recommend Well Woman Acupuncture!!! I started seeing Kandace in 2015, during a difficult time in my fertility journey. 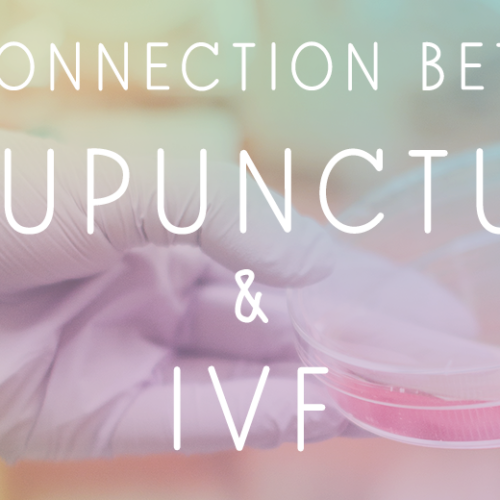 When I started acupuncture, I was excitedly preparing for an embryo transfer from IVF I’d undergone years earlier. However, my plans were derailed when none of the embryos survived the thaw. By this time, my hormones had changed dramatically (AMH .11 and FSH >12), my antral follicle count was much lower (only 4 follicles total) and I received a bleak diagnosis of severe diminished ovarian reserve . So, I began what would become another year of disappointment and frustration, with a 2nd cancelled IVF cycle, mounting debt and a ticking clock. Because of my ovarian reserve, I was told that my only options were to do egg banking (at a whopping $75k), medicated IUI (with a very low chance of success) or IVF with donor eggs. At the urging of Kandace and under the guidance of a new REI, I decided to take 3 months off from further ART attempts to work on egg quality with weekly acupuncture, Chinese herbs, supplements and dietary changes. After this course of therapy, my ovarian reserve was reevaluated and everything had improved--my AMH was higher, FSH was lower, and my AFC had more than doubled! I moved forward with a medicated IUI and lo and behold, it worked the very first time! I am now pregnant with our miracle baby and due to deliver in just a few weeks, thanks to Kandace’s encouragement and expertise. I have been seeing Kandace at Well Woman Acupuncture for about 3 months now for pregnancy wellness and maintenance. All the common pregnancy problems that western medicine cannot do anything about (or only with pharmaceutical meds), she is able to help with. My pregnancy has been going great and I attribute a lot of that to Kandace. I look forward to a healthy labor and post-partum period with her help! I appreciate the work she does so much and know you will be happy with her professional help as well. After suffering through menopause; sleepless nights, hot flashes all day long, fuzzy brain and lack of energy I decided to take hormones. While they curbed the symptoms, I didn’t feel good about circumventing the natural menopause process. I stopped taking the hormones and immediately reverted back to the symptoms. My work with Kandice at Well Woman Acupuncture has changed my entire menopausal experience! From 3 hot flashes an hour, I am down to 1 or 2 a day, getting enough sleep, and my energy is returning! I am telling everyone I know who is yet to reach this stage of life, to start here when those crazy symptoms start! With the combination of acupuncture and Chinese herbs customized especially for my condition, Kandace has helped more with the hormone challenges of PMS and perimenopause than anything else I have done. She is wonderful and supportive to work with and I highly recommend her. Even with Hormone Replacement Therapy I was having horrible peri-menopausal symptoms, especially hot flashes and mood swings. After my first treatment, my symptoms diminished significantly. My physical and emotional well-being have increased dramatically with ongoing care from Dr. Cahill. She is so skilled and knowledgeable, she always seems to know how to make me feel better physically and emotionally. I can't say enough good things about Well Woman Acupuncture! Kandace is compassionate, caring, warm, and...oh yeah...absolutely amazing at what she does! Her expert care was an essential ingredient in helping us to conceive. She knows her stuff inside and out. I trusted her completely and felt like I was in the best possible hands. For anyone considering acupuncture, I'd highly recommend meeting with Kandace. She's the very best!